Each year the NASA Human Exploration Rover Challenge features an engineering design challenge to engage students worldwide in the next phase of human space exploration. 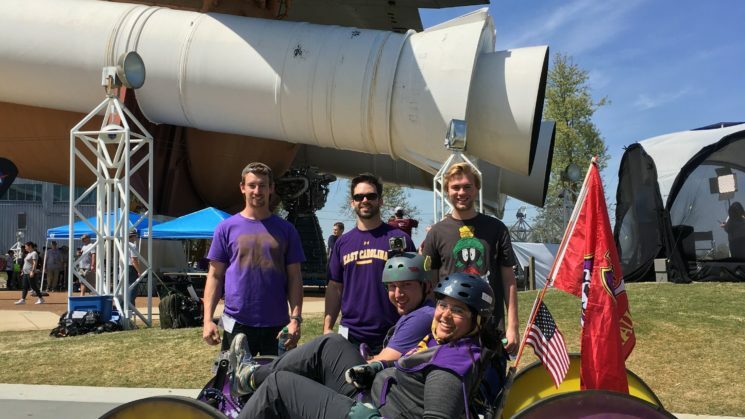 The annual event is a more complex follow-up to the successful NASA Great Moonbuggy Race. The competition challenges high school and college students to create a vehicle designed to traverse the simulated surface of another world. Teams design and create rovers capable of traversing a challenging exoplanetary-like landscape. The planned course for the competition required two students, one female and one male, to traverse a terrain of 0.50 miles that includes a simulated field of asteroid debris — boulders from 5 to 15 inches across; an ancient stream bed with pebbles approximately 6 inches deep; and erosion ruts and crevasses of varying widths and depths. The challenge’s weight and time requirements encouraged compactness, light weight, high performance and efficiency. 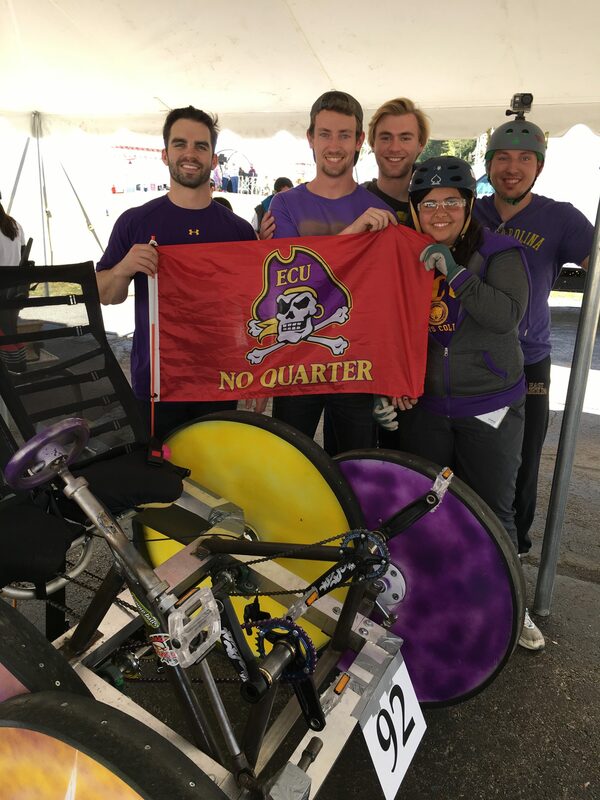 The East Carolina University (ECU) American Institute of Aeronautics and Astronautics/American Society of Mechanical Engineers (AIAA/ASME) joint student team traveled to Huntsville, Alabama to participate in the 2018 International NASA Rover Challenge. The team won the third place and was the only team who completed the competition course. The team is funded by NC Space Grant through the Student Team Competition Program. Click here for a behind the scenes video from the competition.